No two travelers are the same. Likewise, every casual holidaymaker has their individual visions and preferences too. Nevertheless, some destinations appeal to everyone. These are the places that I believe should be top of everyone’s bucket list. St Tropez is one of those leading candidates. The French town is one of Europe’s greatest gems. It has plenty going for it, which is enough to keep any visitor entertained for at least a week. Here are some of those reasons to place it on your travel agenda for the next 12 months. I don’t care what anybody has to say on the topic; trips are always better when the weather is pleasant. It instantly increases your options and opportunities for fun. Choosing a location that offers the best chance of great climate conditions should be a must. And St Tropez is up there with the best. 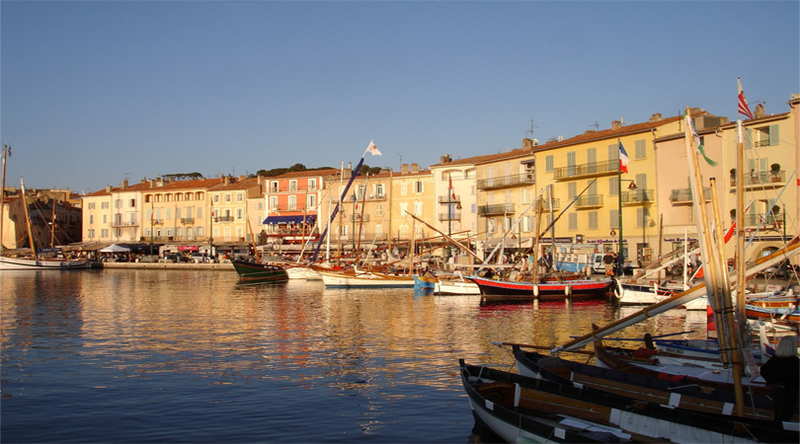 St Tropez boasts average temperatures in excess of 20 degrees Celsius throughout June to September. But even if you’re not planning to visit in peak season, you’re unlikely to suffer poor weather conditions. It might not feel like the most important feature of the trip, but it should. The world feels a lot better when the sun has his hat on. Whether you’re backpacking or holidaying, visiting a new place should let you break away from the norm. St Tropez offers a level of style and comfort that only a select few can enjoy in their daily lives. This in itself is another great selling point of the French town. Luxury accommodation and great restaurants in St Tropez make it a huge winner. This is especially true for anyone looking for a few days of relaxation following a tough time at work. Even if that’s not the case, you’ll be sure to appreciate the benefits that the place has to offer. Unless you’re visiting somewhere like New York, you can see most of the main attractions in a few days. This is true in St Tropez too. Luckily, it’s pretty close to some fascinating excursions too. Cannes, Toulon, and Nice are all within driving distance. So if you’re a traveler that’s keen to see as much of the world as possible, those opportunities are another fantastic appeal. In truth, though, you could just as easily enjoy the delights of St Tropez for the entire duration of your stay. It’s great to get away from everyday life. But a week or two of enjoyment shouldn’t come at the expense of having comfort in your normal life. St Tropez is great value for money. Logistics, insurance, and daily living elements are all fairly pleasing. If money is a big worry, it doesn’t need to be in the southeastern French destination. For most people, getting more bang for your buck will actively improve the enjoyment of the trip. Besides, it’ll leave you more money to take future trips too. Considering there’s so much to see and do too, you really can’t go wrong.one. It really is that simple.